· Old MP3s from The BRB and older ones from Brad's early solo efforts. It was Laurette’s turn to sing lead, which gave me a chance to clown around a bit behind her back. She had no idea that I was making faces. Photo by Steve. We must have been doing “All Right Now” (by Free). There’s no bass in the first part of the song, leaving Steve free to snap some pics. 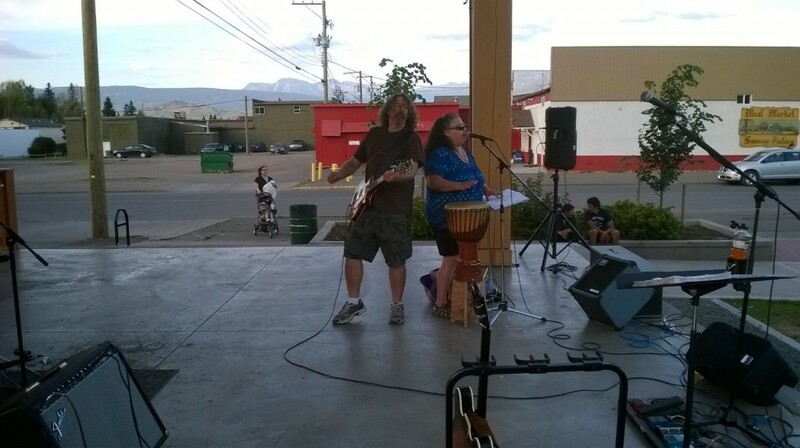 August 22, 2014 on the stage at Bovil Square, Smithers, BC. Friday, August 22nd, 2014 at 11:58 pm • Photos, The Music • RSS 2.0 feed You can skip to the end and leave a response. Pinging is currently not allowed.